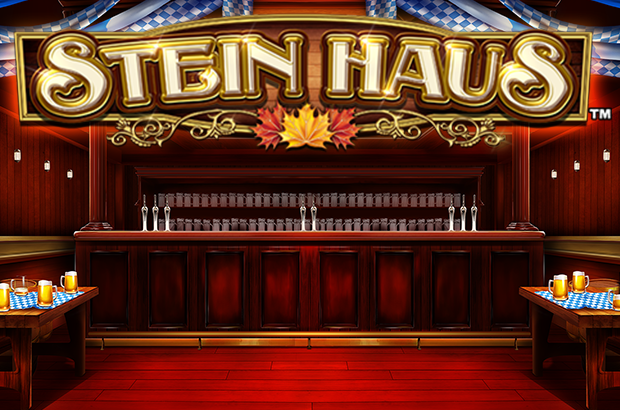 Play Stein Haus™ online for free now! Bottoms up! This slot machine makes you feel like you‘re smack dab in the middle of the Oktoberfest! The cutting-edge slot Stein Haus features captivating gameplay and stunning design! And with a little luck you might rake in Free Games and huge Twist wins at this slot machine. Here you can find out all you need to know about the game Stein Haus online. 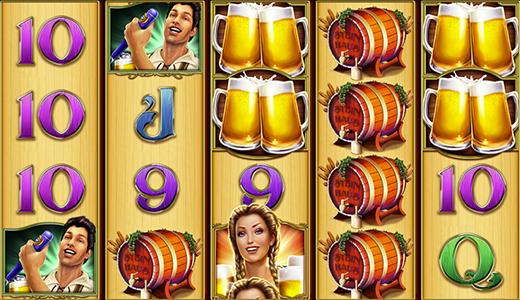 Stein Haus is a slot machine with 5 reels, on which up to 50 win lines are available. Therefore, you can select the number of lines you wish to play with. Your aim is to land 3 to 5 identical symbols on one of the win lines running from left to right – the symbols have to be adjacent. The Steins symbols act as Wilds. That means: they can substitute for other symbols to complete winning combinations and they also have the highest symbol value. When – with a little luck – Steins appear on all reels, your win is up to 50,000 times your round bet! Moreover: The Stein Haus Symbol is the Scatter symbol. It will grant you 10 Free Games if it lands at least 3 times on the reels! 3, 4 or 5 Scatter symbols trigger 10 Free Games! During the Free Games the Steins (Wild symbols) can expand to all remaining positions of a reel. In other words: your chances of winning increase significantly! This groundbreaking slot comes with a feature that, with a little luck, might radically boost your Twist wins. Here’s how it works: after round wins you have the option to click the yellow “Gamble” symbol. Then, a concealed card appears and you have to pick “red” or “black”. If you correctly guess the card’s colour it’s time to celebrate, as your have just doubled your winnings! If you would like to give other Novoline slots besides Stein Haus a try, GameTwist is your online casino of choice! We have the most popular Novomatic slot machines in store, and you might even be able to play them for free if you have enough Twists in your account! Did you know that we also feature different variants of Book of Ra, one of the most popular slots of all time? Moreover, GameTwist offers fruit classics like Sizzling Hot or innovative slot machines such as Lord of the Ocean, casino hits like Roulette or Blackjack and skill games such as Bauernschnapsen or Rummy! It's a huge selection – which game will you play first?